Offered here are two photographs signed by New York Yankees Hall of Famer Mickey Mantle. The first photograph shows Mantle wearing his home whites in a right-handed batting stance. 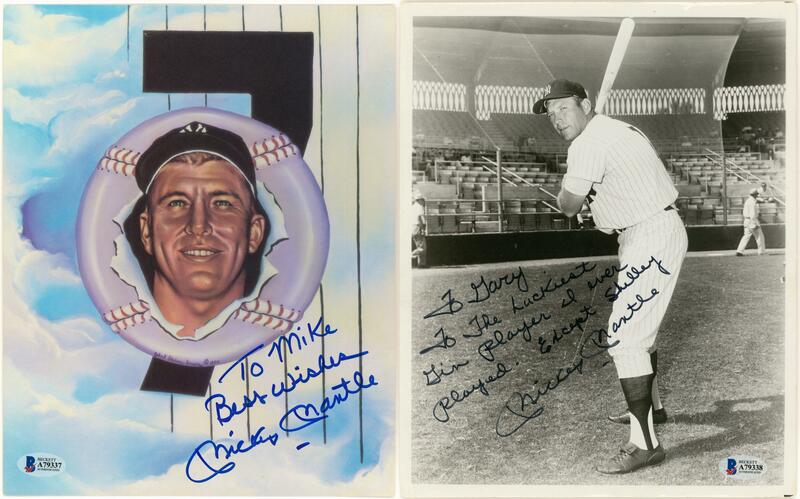 Mantle has signed this photograph in black marker, inscribing “To Gary / To the luckiest Gin player I ever played. Except Shelley” above his signature. 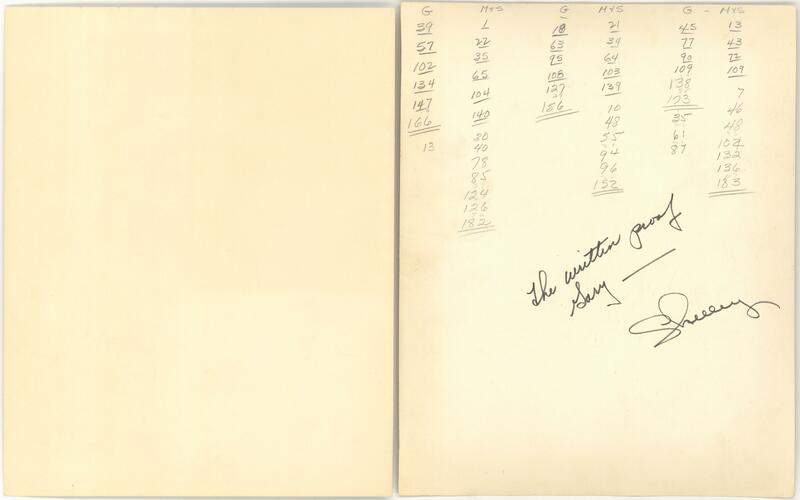 The reverse side of this photograph features a tally of Mickey, Gary, and Shelley’s game of gin written in gray pencil. 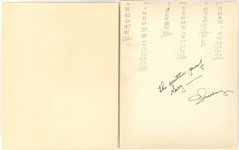 “The written proof Gary – Shelley” is also written on the back in black marker. 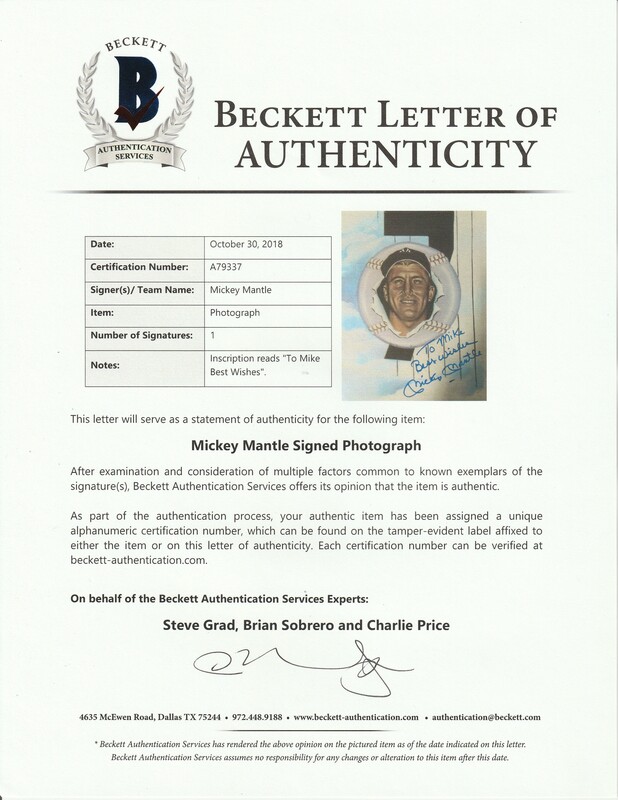 This photograph comes with a LOA from Steve Grad of Beckett Authentication (A79338). The second photograph is a print of a Robert Stephen Simon piece of artwork. It shows Mantle’s portrait bursting through a baseball in front of Mantle’s number “7”. Mantle has signed this 8 x 10-inch photograph in blue marker. He inscribed “To Mike Best wishes” above his signature. 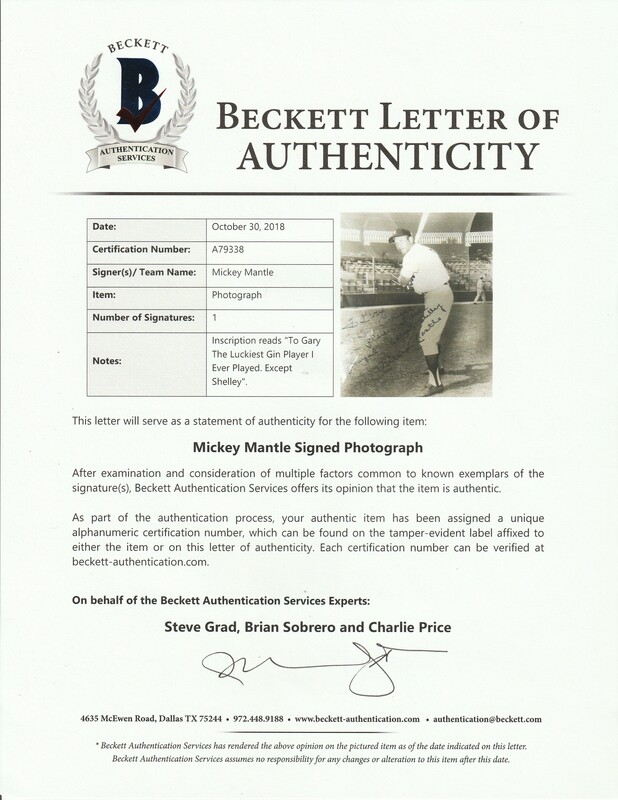 This item comes with a LOA from Steve Grad of Beckett Authentication (A79337).